Finance Guru Speaks: I wrote in my previous article about how you can check your UAN Status. UAN is a 12 digits Numeric Number and you will receive it from your Employer. Once you have received UAN from your Employer, next step is to activate it to enjoy its benefits. 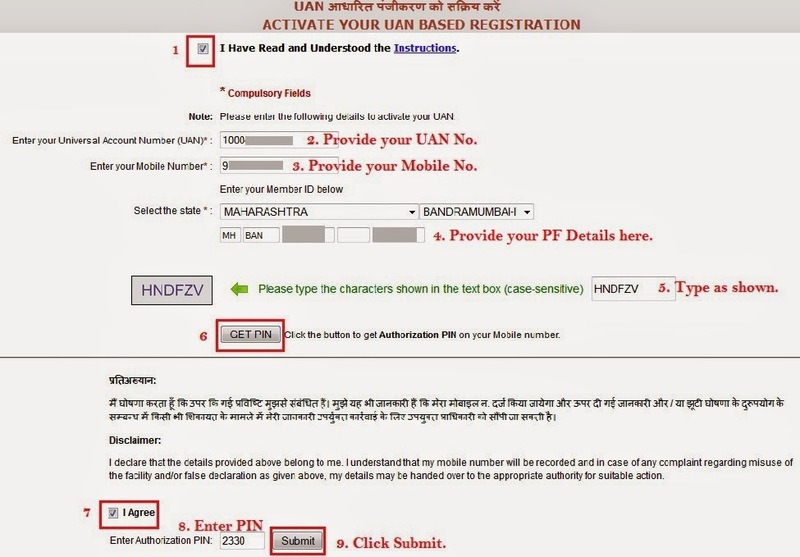 This article will guide you in how you can activate the received UAN. 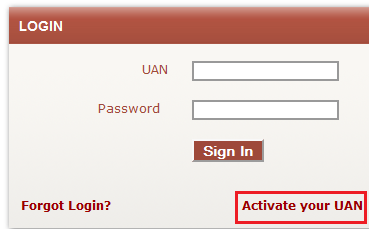 - As shown below, Click on Activate your UAN link. - Enter the received PIN and click on Submit button as shown in above image. - Once your UAN credentials are verified, you need to verify your details & create a Password to access the UAN Portal for login. Don't forget to provide your email ID too. Note: Remember your UAN is your User ID to access the Portal. Your UAN 1000xxxxxxxx has been activated with user ID 1000xxxxxxxx. Please update your mobile number details whenever you change it. Congratulations!! Your UAN has been registered successfully now. Hope this article has helped you in someway. Please share/like/comments on this article over social networks. After this on CHECK UAN STATUS of EPFO ....NOTHING ELSE happens...HOW DO I KNOW IF MY UAN is ACTIVATED? What else do I have to do or get done? When i am activation of UAN following Message was display Member Id DSNHP00255460000000409 and Mobile number 9099010053 mismatched. Thanks for this article. Simple and well done.